And no sooner had we clicked “publish” on our last post, we found out about another new study that points to yet another alternative to conventional antiseptic mouthwashes. Published ahead of print in the International Journal of Dental Hygiene, the paper reviewed the science comparing an aloe vera rinse with chlorhexidine. Six randomized clinical trials were included, involving more than 1300 subjects. All included studies showed that aloe vera was effective in reducing plaque and gingival inflammation. Chlorhexidine appeared to be a bit better at reducing plaque but proved equally good at reducing signs of gum disease. Plus, it has a significant virtue that chlorhexidine lacks: minimal or no side effects. There was none of the staining or altered taste sensation that is common with chlorhexidine use. For instance, one 2016 review found that nearly all of the 15 studies that met the authors’ criteria “showed significantly significant result[s] demonstrating the effectiveness of Aloe vera in treatment of oral diseases. Other research has highlighted aloe’s antimicrobial properties, as well as its anti-inflammatory, anti-turmor, and antioxidant properties. How does it work? Researchers have proposed that one of dozens of compounds found in aloe may provide the mechanism: glucomannans. Glucomannans enhances fibroblast growth factor and encourages the proliferation and activity of these cells result in more number of collagen and elastic fibers. It also improves transversal connections among these bands which makes the skin more elastic and less wrinkled. The antiseptic agents like salicylic acid, lupeol, cinnamonic acid, sulfur and phenols have an inhibitory action on fungi bacteria and viruses. Low molecular weight compounds present in aloe mucilage inhibit the production of reactive oxygen free radicals from activated human neutrophils. As with any botanical, you want to make sure that any product you use is the best quality available – that what’s on the label reflects what’s in the bottle, and that what’s in the bottle will actually help. The Aloe Vera Site offers some excellent guidelines for making smart consumer choices with product from this particular plant. 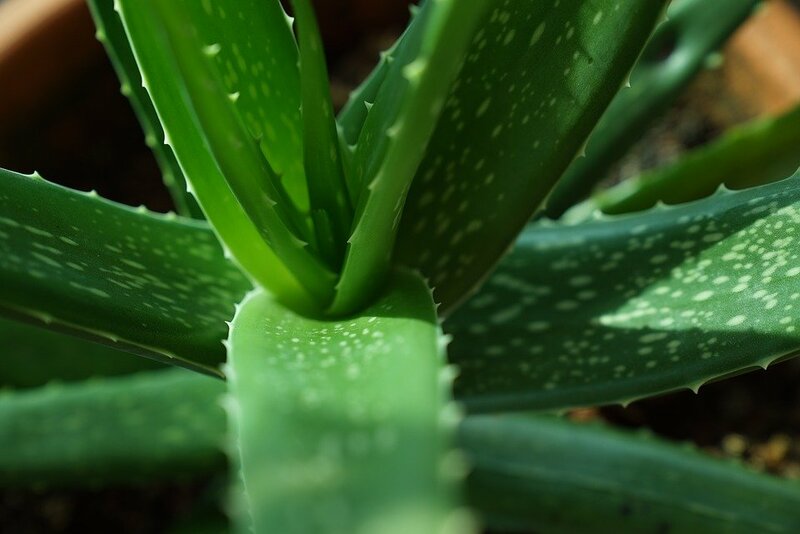 Have you included aloe vera in your oral or overall health routine? Share your experience in the comments!